Get WHIT it reader Tenesha sent us over an email wanting us to find this Kim Kardashian Look. 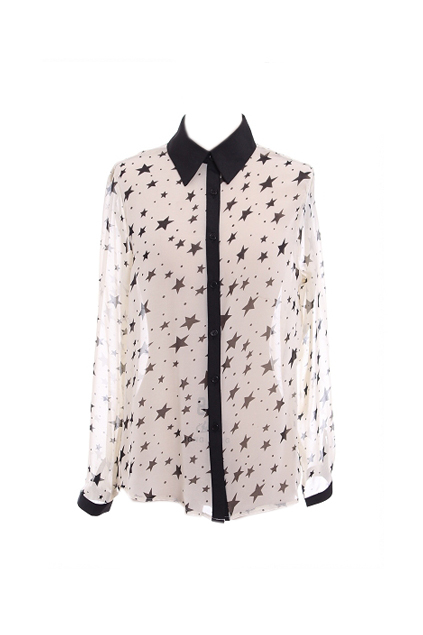 A great alternative would be this contrast star print white chiffon top from Romwe. It's only $30 and you can grab it by clicking HERE. Finish off the rest of your with the items below. Make sure to check out the Steve Madden Babylonn pumps for $100!